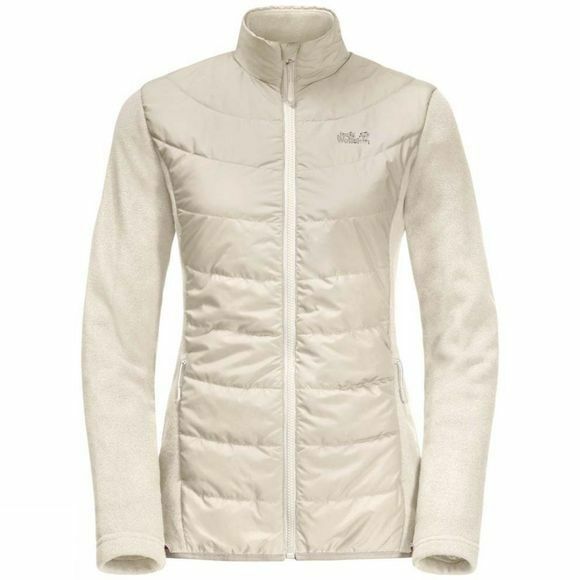 The Womens Taiga Trail 3In1 Jacket from Jack Wolfskin was made for adventures In the ice and snow. It doesn't have to be the subArctic taiga, though. This 3-In-1 Jacket will keep you warm wherever you are, and with its slim silhouette you'll look great, too. The Jacket is tailored from 100% recycled materials, so you get double the feel-good factor when you're out on the Trail.The weatherproof Shell Jacket will keep you dry In persistent rain and Winter snowstorms. It is also very breathable, so you'll still feel fit and fresh when you're pushing hard on steep, upHill Trails. If you need a quick blast of fresh air when you're on the move, simply open up the ventIng pit zips. The Inner Jacket zips Into the hardShell. 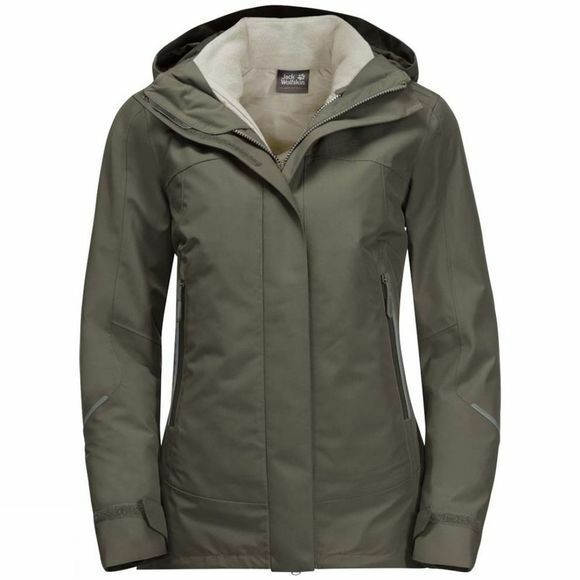 It has an InsulatIng fill and Fleece sleeves and will keep you warm even In sub-zero temperatures. The synthetic Insulation material is Insensitive to moisture, so even if it gets damp it still provides the warmth you need–a huge advantage In wet, snowy conditions. In sprIng and autumn you can wear the Inner and outer Jackets separately if you wish. Simply undo the system zip and you have two Jackets Instead of one!